It is mild, alternative treatment to the Brazilian keratin process, it provides intense hair nourishment and frizz and volume reduction. Specially developed to restore the nutrients that hair can lose over time due to heat styling, including: blow-drying, hair irons, pollution, chemical treatments and other external damage. The keratin and caviar extract formulation contains proteins, vitamins A, E, D, and B complex, lipids and trace elements, and is a rich mix of ingredients that minimize frizz and volume, leaving hair healthy again, looking incredibly shiny and smooth for longer. *Important note: The SOS treatments are ideal for use between Brazilian Keratin Treatments and before colouring and highlights. They provide intensive care, keeping the hair healthy and naturally moisturised. All hair types (especially thick, dry, dull and frizzy hair). 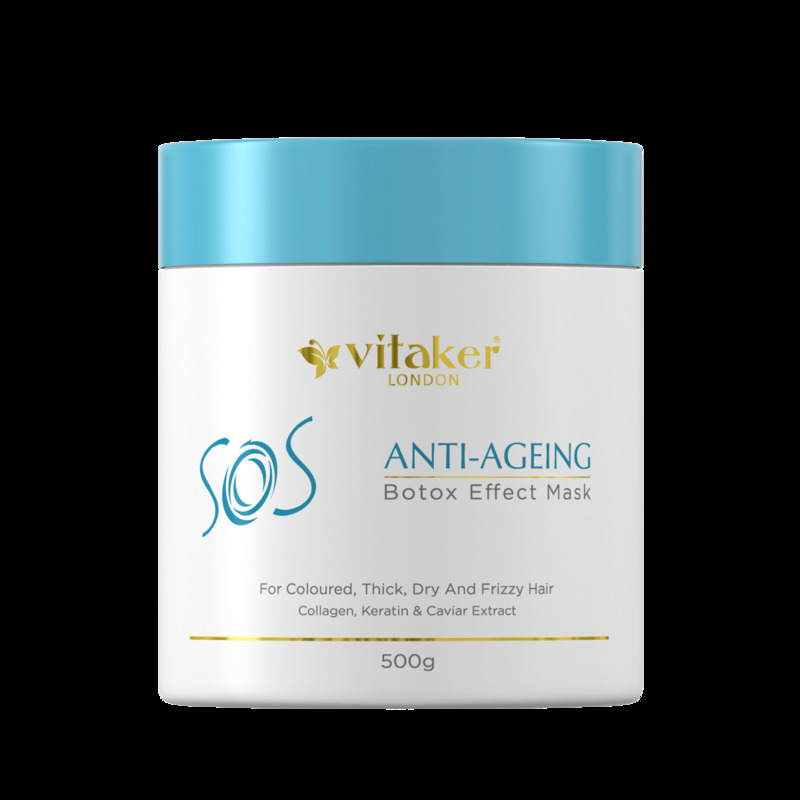 Dry the hair 80% and apply S.O.S Anti-Ageing. Massage the hair thoroughly and leave it on for 15 to 30 minutes. Rinse thoroughly and blow-dry the hair. To intensify the results, iron each section of hair 5 times. Ihe iron should be set at 230 degrees. Healthy hair, with frizz and volume reduction.